Push Puppets is the solo project of singer/songwriter/guitarist Erich Specht. This indie rock act offers well-crafted songwriting with hook-laden harmony-infused bliss that is chock full of wordplay and metaphor. Like the lyrics of some of the heroes from his youth such as Paul Westerberg or Elvis Costello, Specht’s lyrics are sometimes introspective and honest while other times harsh and insincere. His songs often use tales of relationships as a vehicle for commentary about society or self. Musically, Push Puppets might be compared to such indie rock pioneers as Wilco, Gomez, or The Shins. A lush bed primarily composed of guitar/bass/drums support the vocals while offering interesting interplay. When performing live as a solo performer, Erich demonstrates his guitar prowess – providing stripped-down yet elegant arrangements of his songs. While the original material is the focus of his live shows, Specht occasionally mixes in interesting interpretations of songs that one wouldn’t expect from a solo act – such as a swirling rendition of Radiohead’s “Let Down” and “Matte Kudasai” from prog-rockers King Krimson. The project’s first release, “A Living Experiment”, was met with critical acclaim and received airplay worldwide. 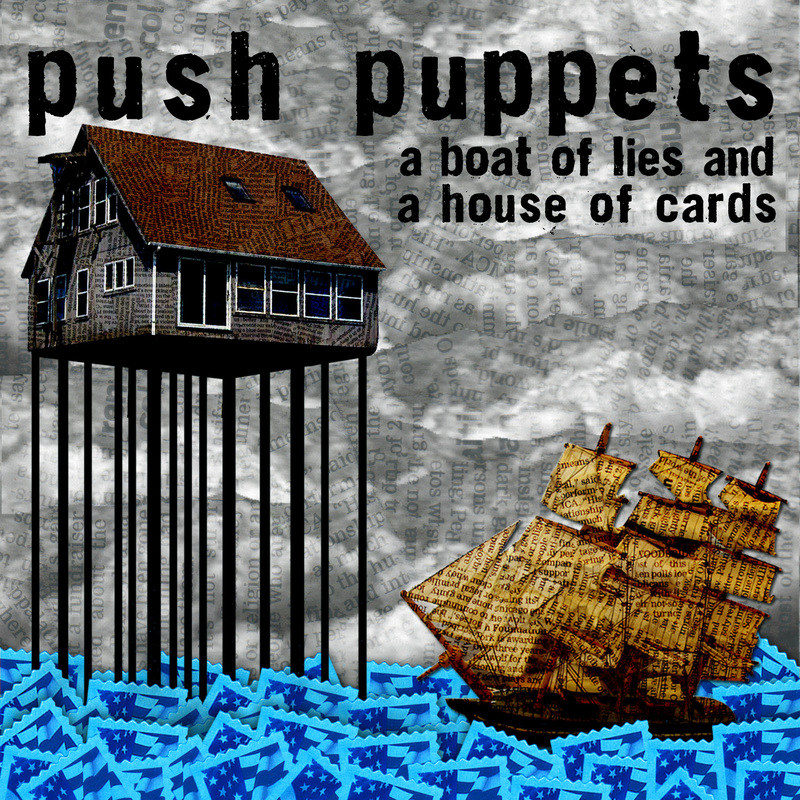 In 2019, Push Puppets will release the long awaited follow-up album titled, “A Boat Of Lies And A House of Cards.” As the release date approaches, Erich will be performing regularly throughout Chicago and beyond.